Poll: Which team will bring Philly its next title? 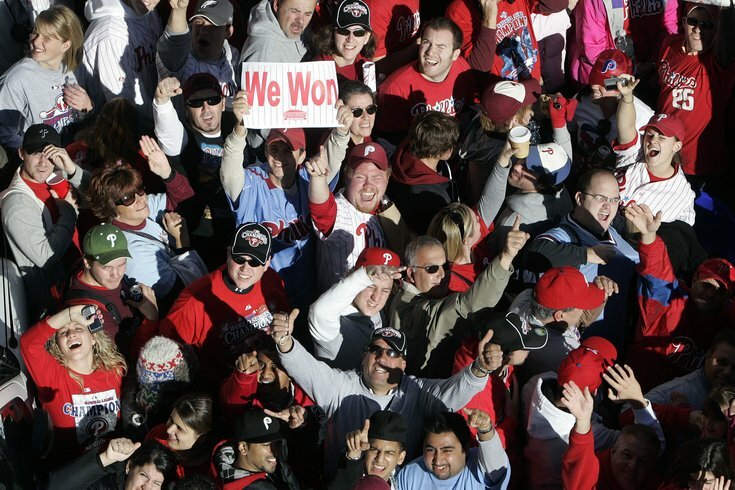 People line Broad Street as they arrive early Friday, Oct. 31, 2008, in Philadelphia, for a parade to celebrate the Philadelphia Phillies victory over the Tampa Bay Rays in the World Series. Hope is a good thing, maybe the best of things, and that is primarily what Sixers fans won on this night. It’s unknown whether Ben Simmons or Brandon Ingram becomes a star or the Sixers eventually compete for titles in the long run, but with that top pick, Bryan Colangelo will have the opportunity to draft a potential difference-maker. It’s a good position to be in. People care a lot about championships in this city, which is why we always seem to be asking which of the four teams (not including the Union, who are also a major sports franchise) will win the next one. Our answers to that question can constantly change as the landscape evolves. Just think about everything that has changed in the past two months. 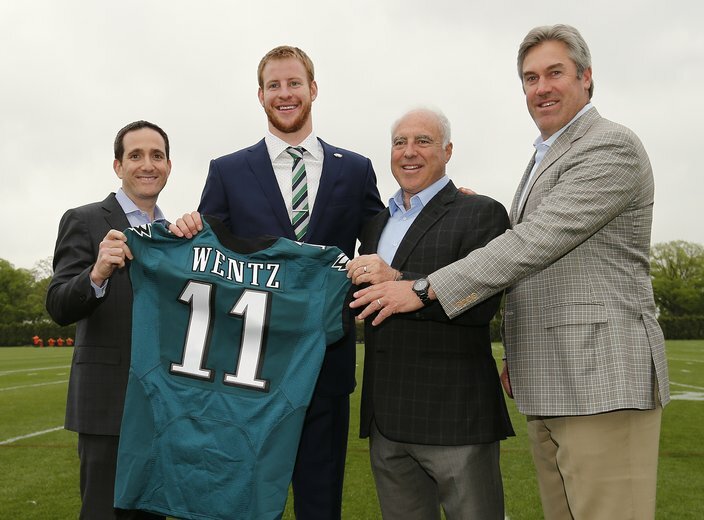 The Eagles went all-in on a quarterback in the draft, the Phillies might be the most surprising team in sports, and the Sixers finally found some lottery luck (but only after The Process’ architect handed over the keys). So we ask you now: At this moment, which team do you think will break through next? The poll is there, but if you’re unsure, I listed some pros and cons for each team followed by my opinion at the bottom. •	Potential high-end talent: You win with stars in the NBA. This is considered a two-player draft, and the Sixers get to pick between them. Joel Embiid’s talent is tantalizing. Jahlil Okafor, Nerlens Noel, and Dario Saric all could fill complementary roles or bring back something in a trade. •	Clean books: The NBA salary cap is projected to spike up to around $108 million in 2017-18. The Sixers’ inclusive total for that season at the moment? $26 million, a lot of which is unguaranteed money. That doesn’t count Simmons/Ingram, but rookie contracts will be excellent value with the new TV money kicking in. •	Optionality: Maybe the Lakers pick conveys in a loaded lottery next year. Maybe the Kings pick swap comes into play as well, and don’t forget the 2019 Kings first-round pick is unprotected. The Sixers still have some lottery tickets to play, or some potential assets to trade. •	High risk: What if you take Simmons and he never learns how to shoot (or work around that lack of shooting)? What if Embiid never gets healthy (a real possibility)? What if Colangelo pulls the wrong strings? Along with the Eagles, the Sixers have the highest bust potential. •	Redundancy: Okafor and Noel couldn’t work together, and it will be interesting to see what happens if Embiid joins the fold. Simmons and Saric also play the same position. It’s easy to say “Trade them then,” but the return has to be good. • Potential franchise quarterback: We just went through The Carson Wentz Draft. If the Eagles were able to land a player who can be a Top-10 quarterback for a decade, roster building becomes much, much easier. The defense already has some young talent, too. • Second chance for Howie: Before making the bold moves to trade up from 13 to 2, Howie Roseman’s offseason work was receiving rave reviews. After essentially a yearlong sabbatical from GM duty, maybe Roseman has improved. •	The NFC East: Self-explanatory. •	Lack of help for Wentz: The Eagles finally drafted offensive linemen, but not until the 3rd and 5th rounds. Brandon Brooks looks like a nice signing, but the other guard is a major question mark. The young receivers are coming off a disappointing season. •	An unknown coach: Doug Pederson certainly didn’t appear to be the Eagles’ first choice back in January, and we have no idea what to expect from him. On the plus side, Pederson appears to have assembled a nice staff working around him. •	The young Phils: There might be a bit of smoke and mirrors to this start, but Aaron Nola, Vince Velasquez, and Jerad Eickhoff have all shown impressive stuff. Odubel Herrera’s plate discipline is a revelation, and we know Maikel Franco is capable of more. •	The younger Phils: Crawford, Williams, Alfaro, Thompson, Appel, Quinn, Kilome, Randolph, etc. Not all of these names will pan out, but more help is definitely on the way. So is the top pick in the 2016 MLB Draft. 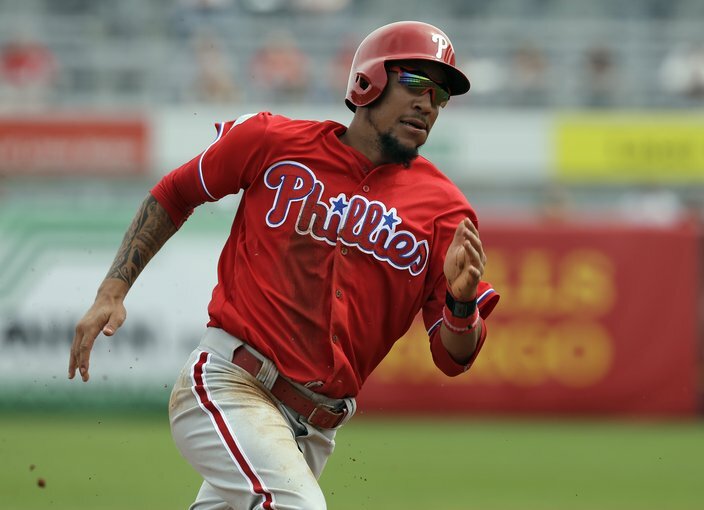 •	Clean books: The Phillies have taken their medicine over the last few years, and they have an ownership group ready to spend some of that crazy TV money when the time is right. The Phils have no money committed past 2019. •	A lot of work to do: It’s hard to come up with too many cons for the Phillies. Winning a title is one thing, but I think they’re the safest bet of the four teams to at least be in contention three years from now. That said, they’re currently 29th in the majors in runs scored per game. They have a ways to go offensively. •	The prospect pipeline: After the trade deadline, Bleacher Report ranked the Flyers’ system second in the the NHL, only behind the loaded Toronto Maple Leafs. 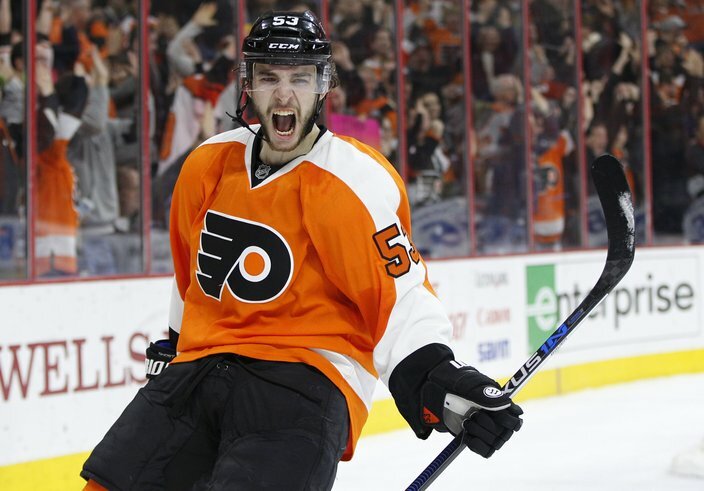 Ivan Provorov leads a promising group of blueliners that will join Shayne Gostisbehere, and some think Travis Konecny could push for a forward spot as early as next year. •	Ron Hextall: Since taking over in 2014, Hexy has done a strong job of digging the Flyers out of an unenviable salary cap position. The Orange and Black actually have some dollars to play with this offseason if Hextall so chooses. •	Forward depth: The Flyers were 22nd in the NHL in scoring, and it’s clear they need better players in the bottom six as well as some more top-end playmaking on the first two lines. •	A question of timelines: Like the Phillies, the Flyers appear primed to be pretty good in a couple of years so this might seem like nitpicking: Claude Giroux and Jake Voracek are terrific, but they’re both signed to big contracts through 2022. As long as they hold up physically and their games age well, that should be no problem. But for the Flyers to win a title, you would think those two still need to be star-level players when the young guys are ready to win big.